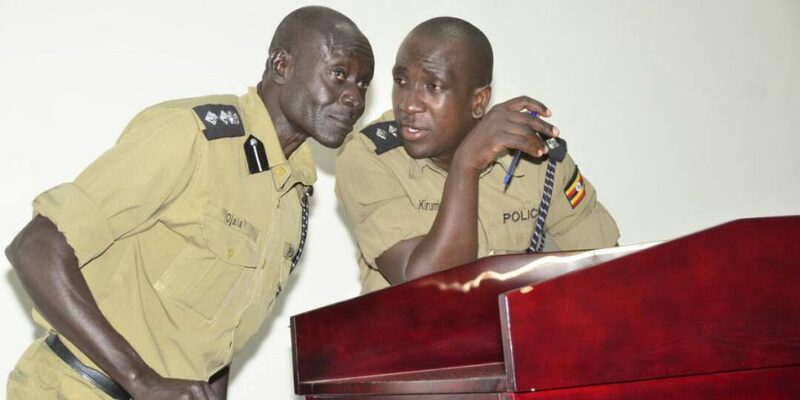 The police disciplinary court has demoted former Buyende DPC Kirumira from the rank of Assistant Superintendent of Police (ASP) to that of Assistant Inspector of Police (AIP)after finding him guilty of gross misconduct contrary to police conduct, bringing to an end episodes of drama that have characterized the seven-month trial. While delivering his ruling at police headquarters in Naguru, Kampala, on Thursday afternoon, the court chairman, Senior Commissioner of Police Denis Odongpinyi, said Mr Kirumira was guilty of parading flying squad operatives to the press and declaring them thieves, unlawfully arresting people and excessive use of authority. The suspects in question are Allan Ainebyoona, a Flying Squad operative, and one Ibrahim Nsubuga. “This court sentences you to a severe reprimand on illegal arrest of Mr Nsubuga, Mr Kayizzi and neglect of duty. However on unlawful arrest of your fellow officer [Mr Ainebyoona] who was on his lawful duties you are demoted to your former rank,” Mr Odongpiny said. “We also find you guilty on unlawful use of authority when you asked one Kamanda Kayizi to vacate his home in 2014. You acted outside police operation procedures and evidence presented justified this,” he added. However, Mr Kirumira was acquitted of three charges of extortion, abuse of office, bribery and unlawful use of authority. He was not demoted to the rank of Inspector of Police (IP) since he had skipped it during promotion. Responding to the ruling, Mr Kirumira said he will appeal. “I was asked to plead for mercy before sentence but I declined the offer and instead asked them to continue with their sentence and I will appeal. I am going to appeal all these sentences because they were influenced,” Mr Kirumira said. Mr Kirumira’s trial has been characterized by drama. At one time, one of the prosecution witnesses accused the embattled officer of not paying for a rolex. The witness, who is also a crime preventer, stunned the court when he said Mr Kirumira ate his rolex and refused to pay for it when he was still OC Nansana in 2013. Another witness, Ronald Kasaga, claimed Mr Kirumira extorted Shs210,000 from him when he was Old Kampala Police Station DPC. 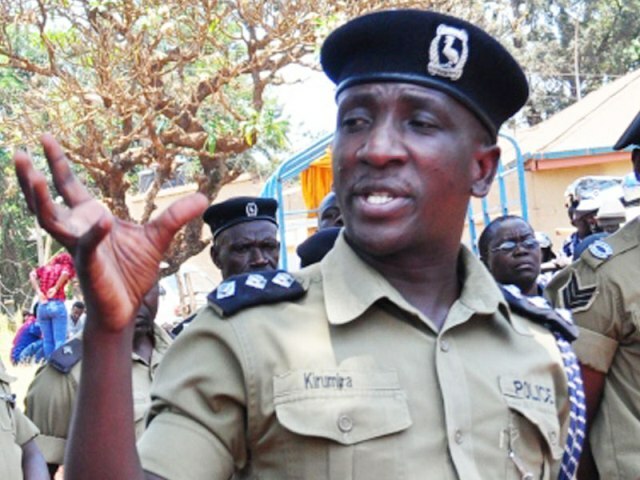 Mr Kasaga claimed that Mr Kirumira unlawfully detained him until he paid the money for his freedom. Most of these charges were later dropped for lack of evidence.